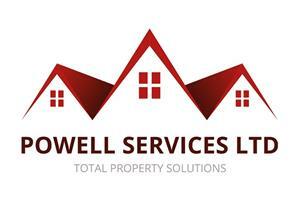 Powell Services Ltd - Builder, Home Improvements, Painter/Decorator based in Hollywood, West Midlands. Our 0808 number is a freephone number! One of the many advantages of hiring Powell Services is that we can scale our services to suit you. Whether you have a simple one-man job or need a team of professionals with different areas of expertise we can allocate the best resources for your particular task and change them in line with your changing needs. We offer a range of planning, fitting and general refurbishment services for homeowners, landlords and business owners alike. Our free advice service can help you if you don’t know where to start or want an opinion on the best use of your space. Powell Services also offers a complete project management solution which ensures that refurbishment runs smoothly from start to finish, ideal if you have a big project in mind or have limited availability to oversee work yourself. We are a family run business located in the West Midlandsa. We are very experienced at extensions of all sizes, new builds and conversions. Our quoting process includes recommendations from previous and existing clients as we pride ourselves on the work that we do. We would love to hear from you for a chat about your new project whichever stage you are at, as we can assist in the planning and design or just the build. In addition to the larger extentions we also assist with general repairs and smaller building jobs. Builder, Brickwork, Groundwork’s, Fire and Flood Renovation, General Building, New Builds, Basement and Cellar Conversions, Car Ports, Equestrian Stable, Extensions and Conversions, Foundations, Garage Conversions, Garden Studios, Heritage Property Specialist, Loft Conversions, Period Property Restoration, Project Management, Refurbishments, Structural Design , Structural Steels, Sustainable Construction, Workshop Design and Construction. Birmingham, Stourbridge, Stanmore, Manchester, Halesowen, West Midlands.